Singapore Real Estate Market Moving Again? Yes, it’s moving. Whether or not its based on good sentiments of our United States counterparts or foundations there seems to be a lot of movements in the market now with buyers shopping more often than not for the past 3 weeks. As a Realtor in the market, things are moving unexpectedly towards the upside with projects that I’ve dealt with. Owners are holding back to accept cheques from my fellow colleagues as their expectation might have change with the recent rally of stock prices in Singapore Stock Exchange. It happened right in front of me, the one time my buyer offers for a particular resale unit in City Square Residences and was rejected, the next day it got sold. And it didn’t happen just once. The one day that one of my buyer wanted to match the expectation of a sub-sale unit, the owner has sold it the night before hitting a considerable good target price for this market. Property Giant Far East Organisation has been quietly adjusting its prices for their new projects like the Mi Casa condo in Choa Chu Kang, The Lakeshore in Jurong, Hillview Regency in Bukit Batok, Floridian at Bukit Timah Road (non-premium units), and Vida at Peck Hay Road. UOL and Kheng Leong have adjusted their price units slightly higher for the better units at Double Bay Residences. 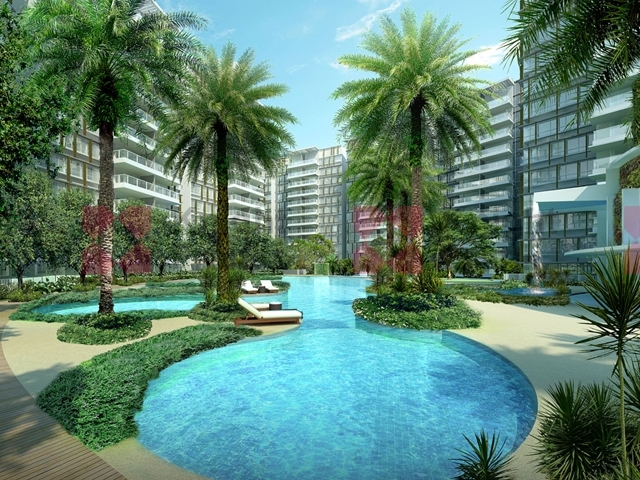 Bukit Sembawang have also nudged its price of The Verdure higher after the initial launch. CDL’s hotcake, The Arte have also seen a little price hike on their units as their sales take momentum. Developers are moving in tandem together to show the market that the price is picking up with the clear buying momentum that the buyers are coming back. I’m sure if you ask any of the ethical agents out there, they’ll tell you they’re unsure. I wouldn’t know whether the market direction is heading towards the north or the south, but its edging more towards the upside for the moment because of buying momentum. Again, buying a Singapore property at this time would be safe since we’re still at a bottom curve, whether is it or not if its heading for a correction towards the down or upside. One thing, the property market cycle is getting shorter and shorter as compared to the 7 years guideline we hear from gurus previously. For people who’re buying for their own stay (and to make some capital gains at the end to move out), this is still a good time to start looking and locking in with the low bank interest rates. And for home owners or investors who’re taking the chance to exit the market, this would probably be your best golden opportunity to do so, unless you’re betting again that the market is moving towards your favor.